Conference Speaker, Spiritual Mid-Wife, First Lady, Wife and Mother. Lady A. Faye Bell does it all with grace, wisdom and inspiration. She has traveled extensively as a speaker and lecturer at conferences and churches. Born and raised in the Bessemer City, N.C. the only child of Roger and Gwendolyn Lomick, Lady Bell was a product of the Gaston County Public School and later matriculated through the Gaston Community College. Lady Bell later received her AA Degree in Christian Leadership from Union Bible Theological Seminary. It is of greater knowledge to couple education with experience. Lady Bell attributes her spiritual maturity and foundational structure to Pastors Robyn and Marilyn Gool of the Victory Christian Center of Charlotte, N.C. serving in various ministry and support roles. Lady Bell is at the epicenter of Baltimore Government serving in the Sheriff’s Administrative Office of the City of Baltimore for more than a decade. Lady Bell has been graced with the anointing to preach and teach the Word of God. She also has been blessed professionally as a much sought after Lifestyle Consultant with expertise in Event Planning and Wedding Coordination. 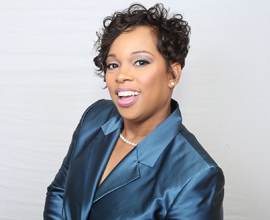 Lady Bell is the founder and owner of A. Faye Bell and Associates. Lady Bell is a licensed Life Insurance Agent. In addition to all of Lady Bell’s accomplishments, her role as wife and mother to Miss Olivia L. Bell has bought the most fulfillment. Lady Bell looks forward to the move of God that is going to take place in this assembly of believers and prays consistently that God’s will be done in every aspect of life and ministry.